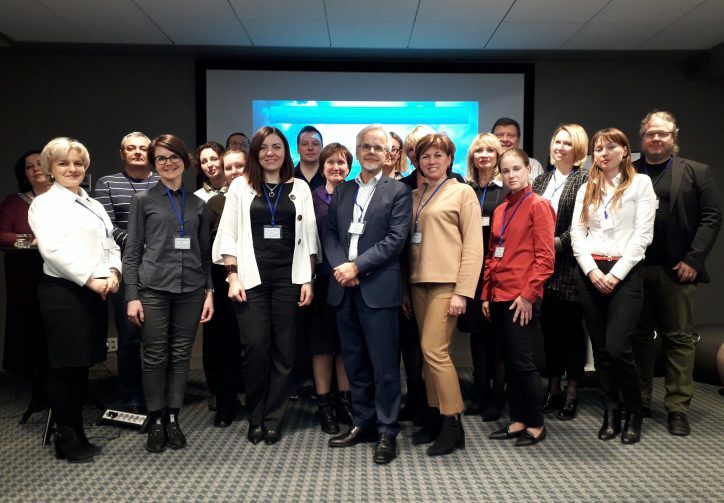 Large number of Russian clients and Algom staff visited Helsinki 21-22.3.2019. Both EBMG (Evidence Based Medical Guidelines) and EBMEDS (Evidence Based Medicine Electronic Decision Support) were discussed in a seminar with Duodecim team in detail. Duodecim was delighted by the interest expressed by the visitors. “Inspirational” commented Mr. Igor Ignatushenko from Moscow. “Outstanding” said Mr. Eugene Kogan from St Petersburg. Visitors also shared insights on the development of digital health solutions in Russia and indicated that EBMG and EBMEDS are strategically well suited to serve national ehealth targets. Seminar was closed with a modest proposal from Dr. Valeria Dansson of Algom: “We would like to come again”.